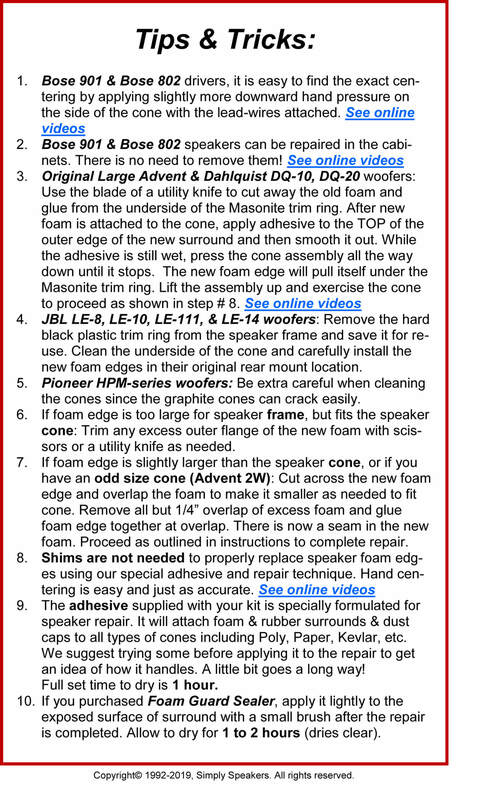 Variances up to 1/8" (3mm) from your speaker measurements are OK. 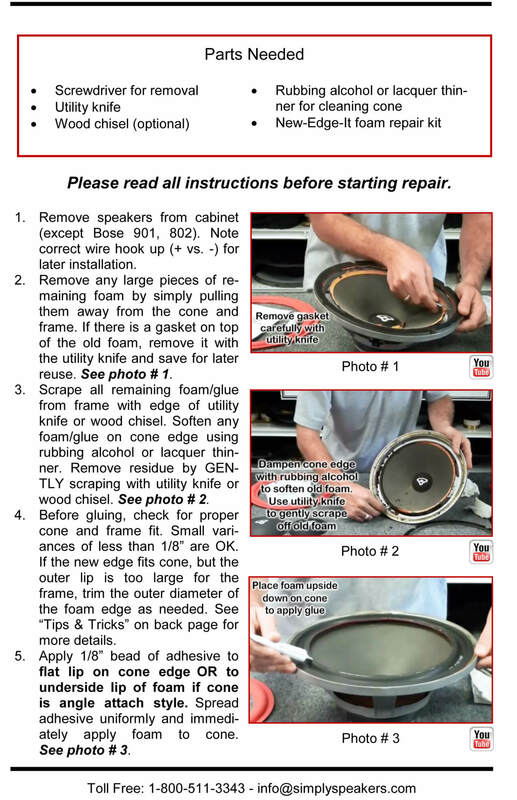 Please check the model and size of your speakers before ordering to be sure you receive the correct foam edge repair kit. Two new formula polyether foam rubber surrounds. These last much longer than the original foam. 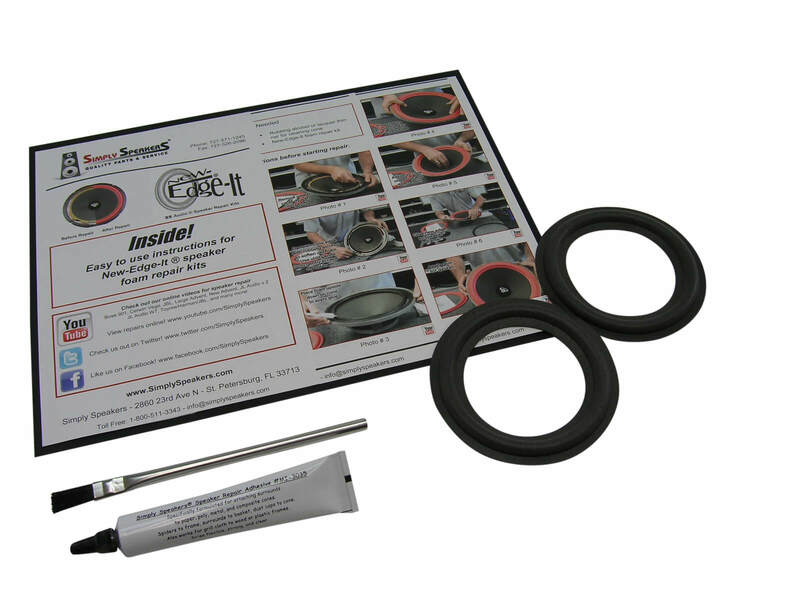 Special CLEAR speaker repair adhesive part # MI-3035. The same adhesive we use for our repairs. 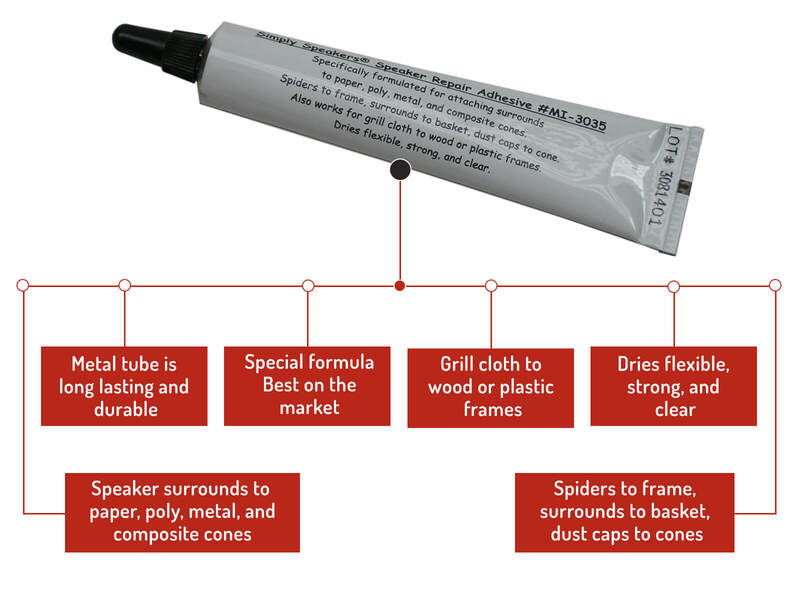 We do NOT use generic glue or Elmers type white glue like others sell. Easy to follow illustrated instructions. 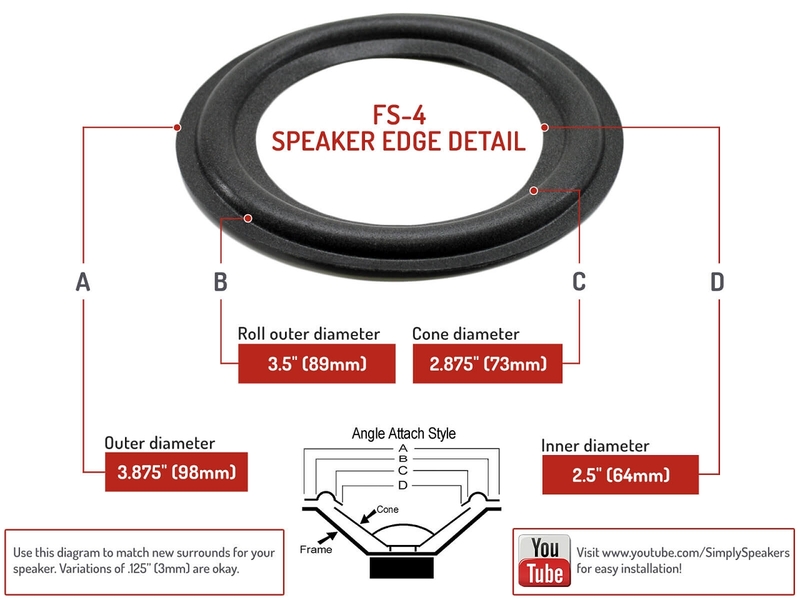 Installation average time is 30 minutes per speaker. You do not need to remove the dust caps to install these kits perfectly - every time. FREE technical support. 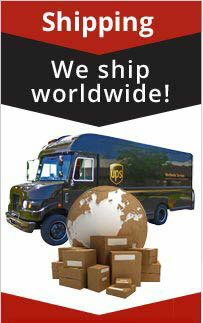 FREE shipping to any USA address. 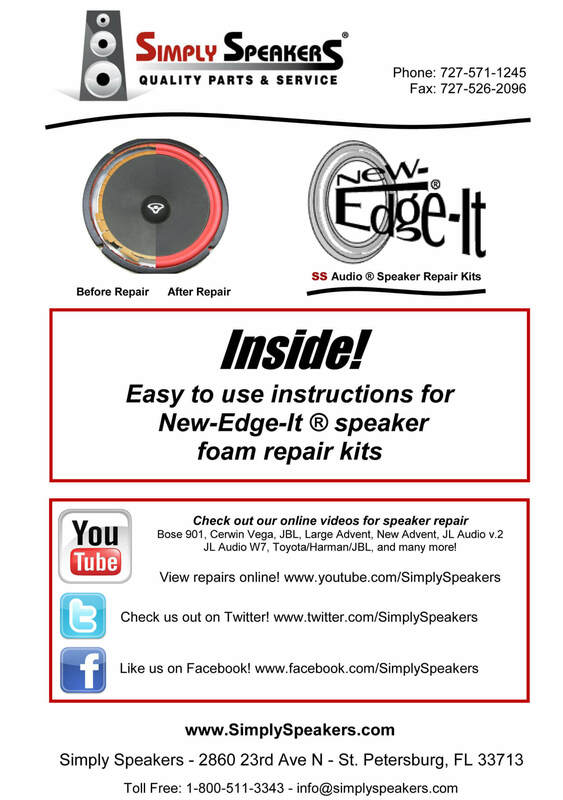 Join over 150,000 customers that have used our New-Edge-It ® speaker foam repair kits successfully! Gave my old Altec Lansing IM7 ipod dock a new lease of live with this repair kit easy to mend it fitted perfect good delivery from the US only downside is paying the import tax in the UK about £12.00 for 2 kits. The kit suits very well for high speaker whom I had. The explanations are very clearly: It is easy to rest(pose). The sound remains unchanged. I am very happy of this purchase. Fast shipping, well packed, great product as advertised, will buy from them again. Thanks. Bought it and everything arrived fine, happy with the overall result. 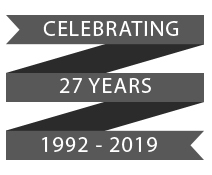 I picked up the package from my local post office only to find that i needed to pay a customs/postal charge of £11.31 which i was not expecting so please be aware if you are importing into the EU and the value of the item is over £15. That aside the contents of the package were sound and there where no missing items. 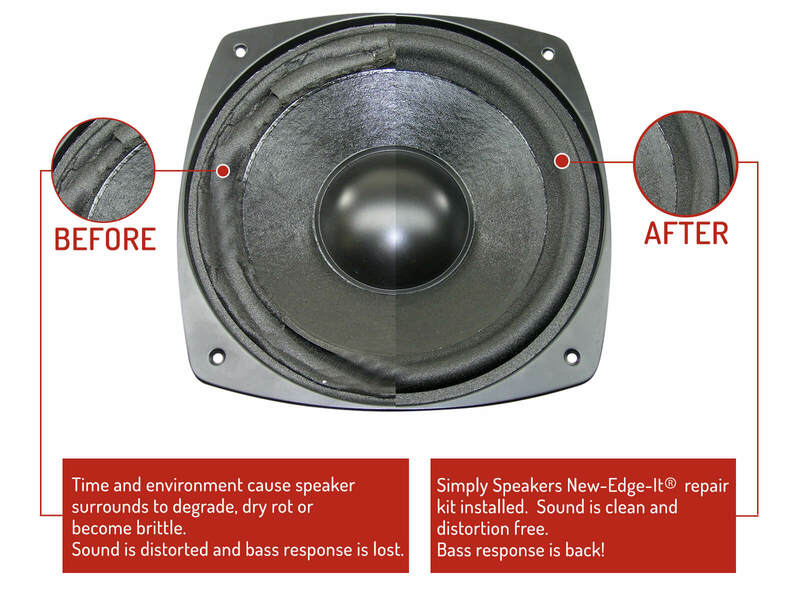 I viewed the online installation video before replacing the foam on my speaker and luckily for me the spare foam was used on my other speaker as it was inadvertently damaged whilst repairing the first speaker. The video was quite straight forward to follow and you may find as i did that you use to much glue first time round but the end result is still the same. There is clearly an art to this so don't be put off if what you end up with bears no relation to the video as was the case with my repair. Would definitely recommend. I'm very pleased with the FSK-4 repair kit. The price was fair, the quality is good, and I received the kit quickly. the kit helped me repair a 4" woofer in my 5 piece Altec Lansing computer speaker system, for such a small speaker this kit had to much glue, the tube could have been half the size, and the sealer option wasn't made clear that it is necessarily needed, i thought it was needed, and spending $7 on that was overkill, i think the repair kit is not priced right for the smaller size speakers like mines. I was able to repair my speaker and so far so good, it's close to sounding like it did new, and will see how long it lasts. Three stars is because it worked, i would have given more stars for a better kit component package and cost. Q: Will it fit the two subwoofer on Altec Lansing 5100 PC speakers? Driver Diameter 4" from specs on cnet website. 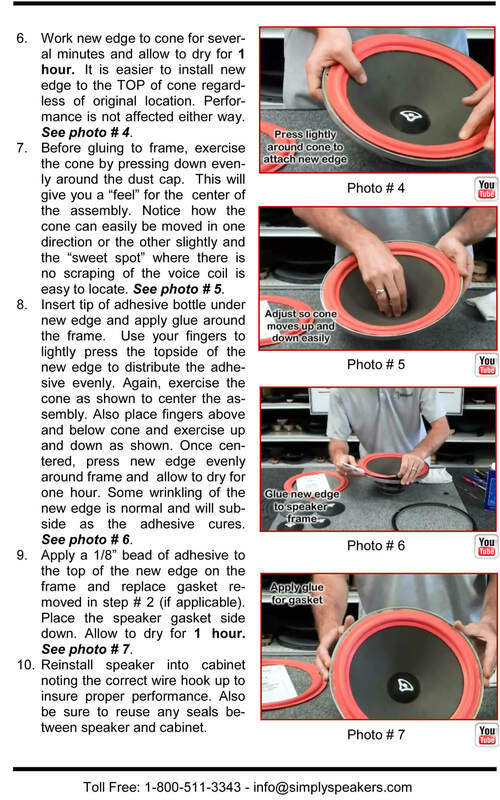 A: Yes, this kit will fit all Altec models with a 4" frame size and a 2-7/8" cone size. Altec Lansing: 55, 9603115, A 7381, W55841, W58416, and many more!